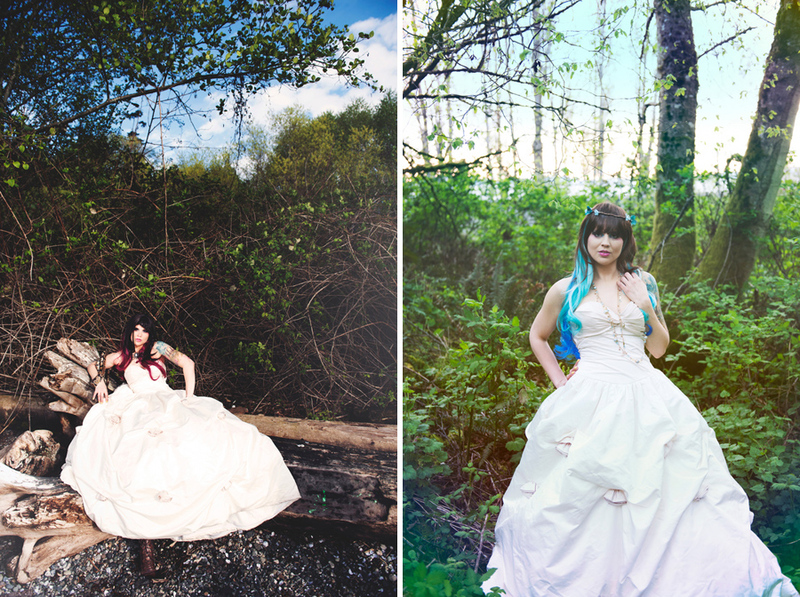 We are loving the alternative bridal portraits we've been receiving lately! 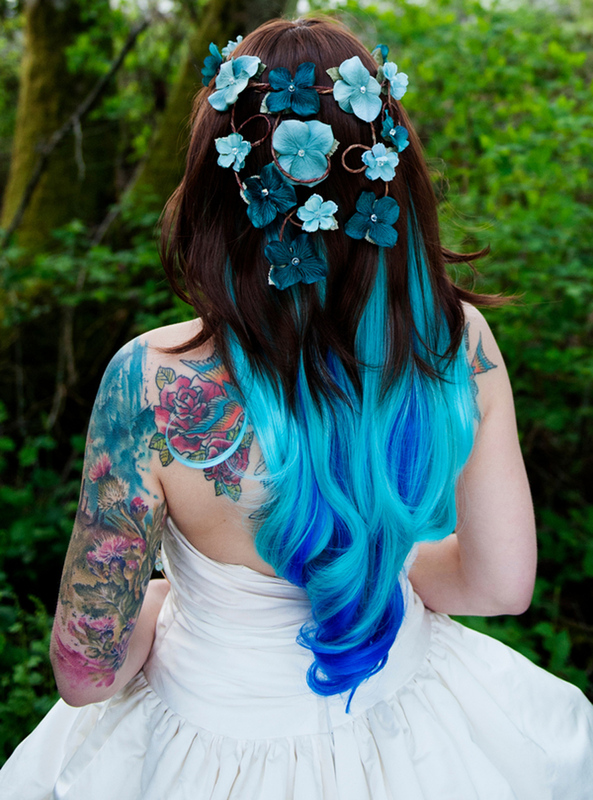 I appreciate seeing a bride not cover up her tattoos, and being a little daring with her hair and makeup choices. 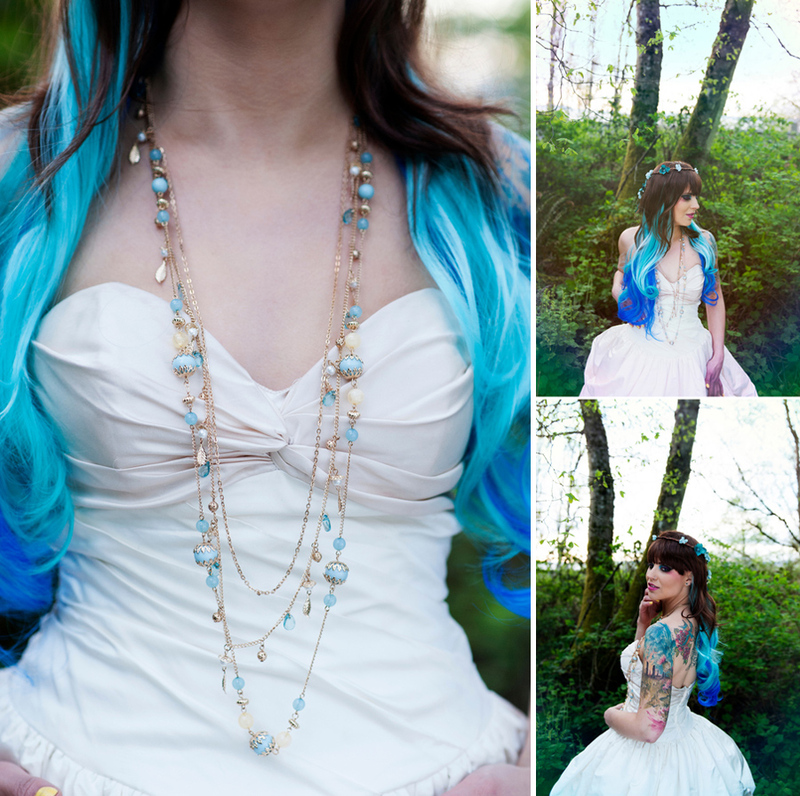 It's all about having fun and being yourself at your most dolled up for your wedding day. Do what makes you happy! In the end you'll be thankful you did. I have to say, the snake's appearance is a first for the blog! 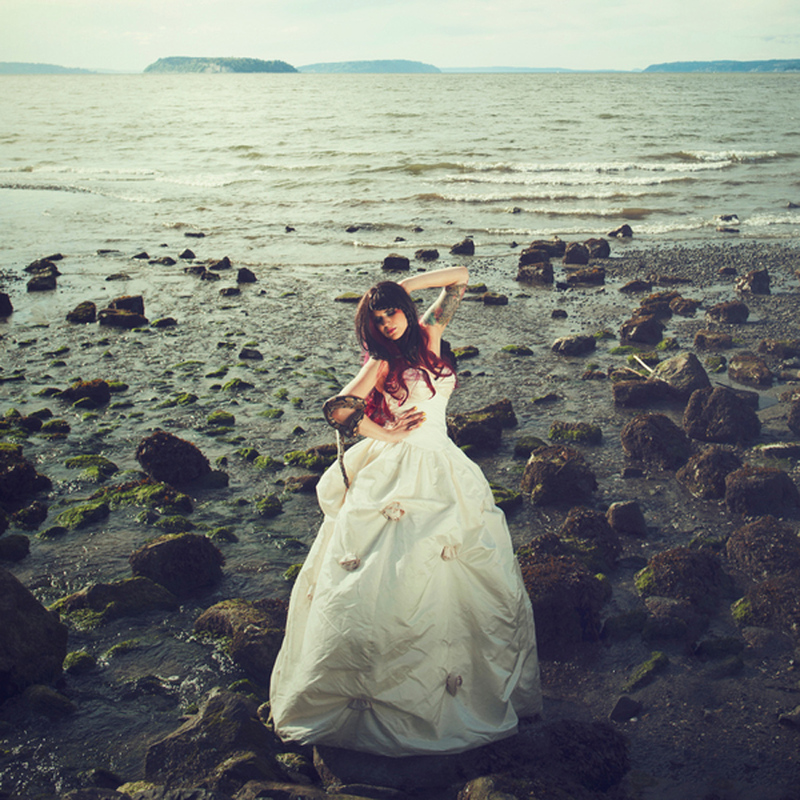 How many out there would include a snake in their bridal shoot, or ever? It's so unique, and we love it! I like both of the styles seen here, and the bold coordinating makeup. This bride is rocking the colorful locks, and I love how the makeup artist played out the hues of turquoise and fuchsia on her eyes. That floral crown is something else as well. Our thanks to Hand in Hand Photography for the submission!